The Escapists is a game about brekaing out of prison. It’s a great game if you like the TV-Series “Prison Break”. In the game you can make custom maps, I made one that is supposed to look like Fox River (The prison in Prison Break) as much as possible. You can download my map here. When you publish a map you need to add a image to give the players a taste of what your map is like, I did this by photoshopping the map onto the back of a man and did my best to make it look like a tatoo. This was to reference Michael Scofield’s back in the Prison Break series. 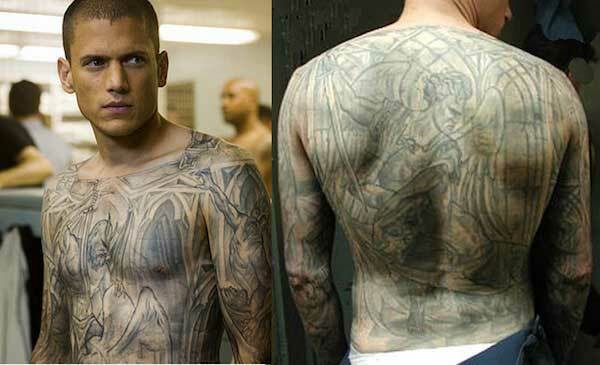 In the series Scofield gets a tatoo over his whole body. The prison’s blueprints are hidden in the tatoo. The original steam community post is available here. Note: I later realized that the map is extremely buggy and un-playable!